Bouteflika, the hated president of Algeria is gone! But the Algerian people are by no means giving up their struggle. This is despite the way the regime is constantly taunting the demonstrators, trying to frighten them and spread false information to tarnish the image of the movement. But it is because the regime is afraid. The protests are everywhere - in the universities where struggle committees have been set up and where the strike has restarted after the return from spring holidays; in the factories where strikes have been breaking out; in the towns and villages where women, teachers, lawyers, doctors and journalists and the whole of society is mobilising to express the desire for real change. The massive Friday demonstrations are still just as massive - from Algiers to Oran, from Annaba to Constantine or Bejaia. The uprising has gathered momentum in every section of society and in every age category - men and women, young and old, workers and the unemployed. The regime is desperately searching for a way to hang on to power or at least to find a safe exit to avoid the worst of scenarios. It hasn't stopped thinking about this since the beginning of this massive opposition movement. The regime has played many cards, including now forcing puppet-president Abdelaziz Bouteflika to resign on 2 April. He was pushed into this by the army and its top general Gaid Salah. The Algerian military establishment, which has orchestrated every coup since independence in 1962, is trying to get power back into its hands. A council which includes key figures in the regime has been nominated and charged with overseeing a 90-day official period before the coming presidential election, determined not to allow power to fall into the hands of the people. 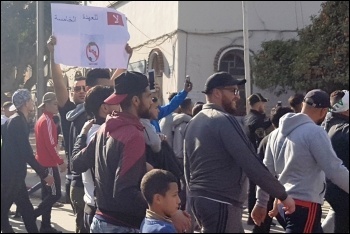 The force of the revolutionary movement in Algeria is similar to that of the first weeks of revolutionary struggle in Egypt and in Tunisia during the Arab Spring, when all the provocations aimed at dividing the struggle were pushed back by the determination of the masses. The movement can and must grow. The parties of the pseudo opposition are discussing behind the backs of the people, including with former leaders of the Islamic party which sustained the terrorist groups of the 1990s. Workers' representatives must entertain no idea of entering into such coalitions. The autonomous trade union federation, which is relatively small, but which organises certain trade unions that are independent of the regime, has called for a general strike against the interim Bedoui government for 10 April. There is a need for the rank-and-file unions of the major federation, the UGTA, some of whom have already agreed to support the movement, to also call for action and for the regime to be chased out - and for action against all the companies in which so many 'little Bouteflikas' reign. Struggle committees must develop everywhere - from the universities to the factories, in the neighbourhoods and the villages - and discuss all the demands. These include improved conditions of work - equality for all - women and men, and so on. Representatives should be elected to go to coordinating committees at all levels up to national level. The clique in power and the different clans at the heart of the army have been sharing out Algeria's wealth in cohoots with the multinationals and the imperialists. There will be no democracy in Algeria as long as these robbers at the service of capitalism hang on to power. Only a government of the working class and youth, coming out of the revolutionary movement, could realise the desire of an Algeria that is democratic and free, where people have equality and where the natural resources and the workplaces are in public ownership - not in the hands of business men who enrich themselves off the backs of the people. Run by working people, this would allow real development of the country and the regions and would provide employment for all. 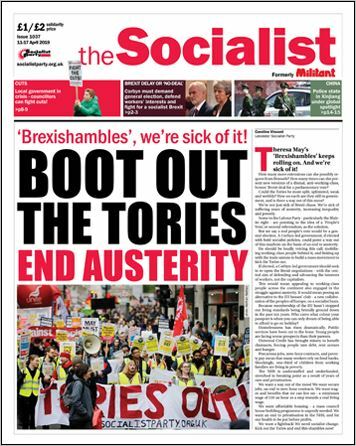 This is the real socialism that the current revolutionary movement could build if it holds to its aim of getting rid of the whole regime.